← Broccoli Rice and Lentils: All Stocked Up. 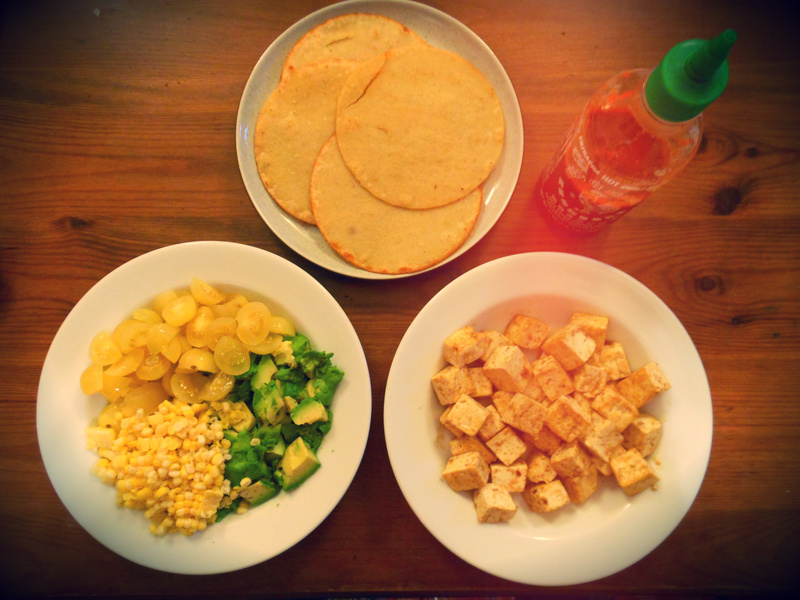 After debating the merits of Chipotle earlier this week, all we could think about was Mexican food. 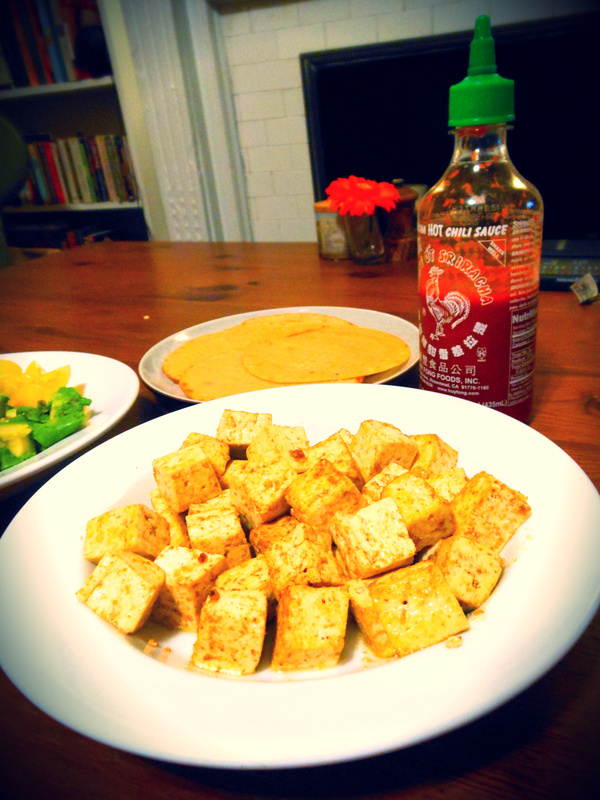 It might not be the most sustainable meal, but one of our favorite vegan dinners when we need a light cooking night is tequila tofu tacos. It’s freakishly easy, and a stellar backup for nights when spending long hours in the kitchen feels foreboding. Then we chop up whatever came in our share that week – preferably tomatoes (love cherry), sometimes corn, or occasionally cabbage for some crunch. And we cut up some avocado. (Sorry fellow locavores, I simply can’t help eating avocados… like, all the time.) Er, and occasionally the addition of pineapple is just about the best thing ever. Pan-fry some soft taco shells, stuff them with goodies, add some chile sauce. And enjoy. And just for good measure: a little tequila on the side never hurts. Life without avocados would be a real bummer! Make them! You’ll get a whole host of groakers :). Sriracha on tacos? I’m sorry, that’s just wrong. Give it a try! It’s very tasty :).